For centuries, the East Coast has been a vital seafood resource. Grand seafaring stories of adventure and a bountiful catch have beaten on the shores of Massachusetts, Maine, and New Jersey since they were simply small British colonies. As a result, the oceans have been exhausted: now is the time when we must give back. 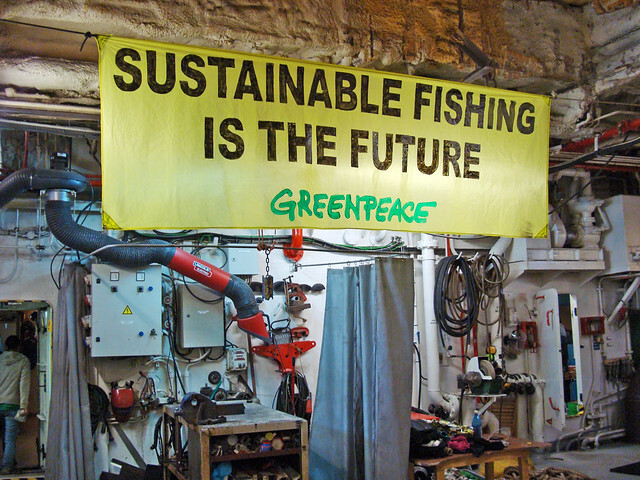 Sustainable fishing is no longer simply an option to consider–it is a necessity. Photo via JudyGr on Flickr. Significant initiatives for seafood sustainability began to take shape in 2009, when NOAA began the Bay Watershed Education Program. This program started out small, educating grade school students on the importance of sustainable fishing to protect the very species of seafood that have fed the nation since its inception. Sustainable fishing is defined as “a conventional idea of a sustainable fishery that is one that is harvested at a sustainable rate in areas where the fish population has been depleted”. During NOAA’s initiative, the community responded; supporting the idea of sustainable fisheries so that the fish population could be restored and responsibly harvested. Local and community initiatives to raise money for sustainably harvested seafood began to take shape all over the Garden State, effectively raising awareness across the nation about the dangers of overfishing our precious oceans. There are 20 watershed areas in New Jersey, almost half of which are considered saltwater bay watersheds. These watersheds are maintained by the EPA as well as the local communities that enjoy them. The Barnegat Bay Watershed has been supported by communities that outline its borders. Though the sustainable seafood harvest has forced some prices of seafood to rise, the population has continue to support local efforts to “Save the Bay”, purchasing sustainable seafood locally, instead of at large grocery chains. If you have a watershed conservation project that you would like to research and perhaps crowdfund, we can help! Remember, conservation starts within a community, but can raise awareness nationally.